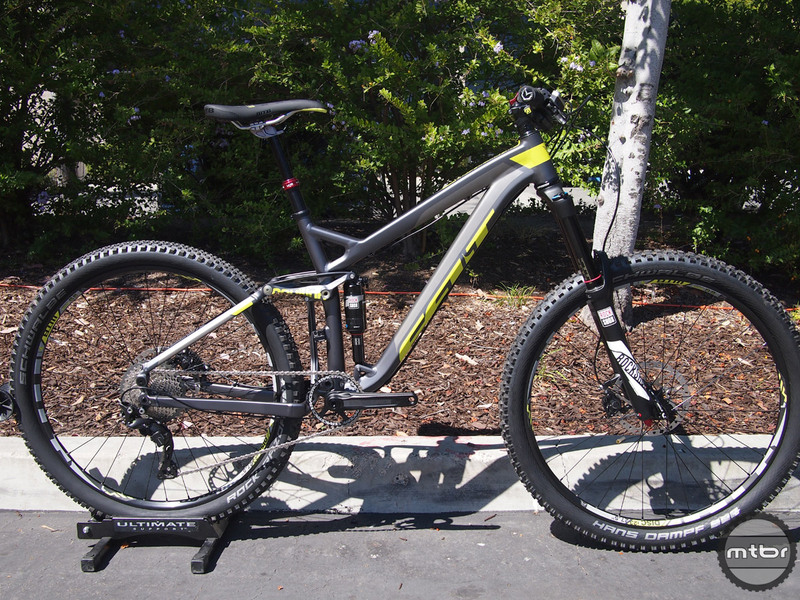 No big changes for Felt’s enduro racer, but spec value has been improved (click to enlarge). This model is available in 4 sizes (SM – 16″, MD – 18″, LG – 20″, XL – 22″) and has a claimed weight of 29.1 to 31.6 lbs depending on model. All 3 versions will be available in September of this year. 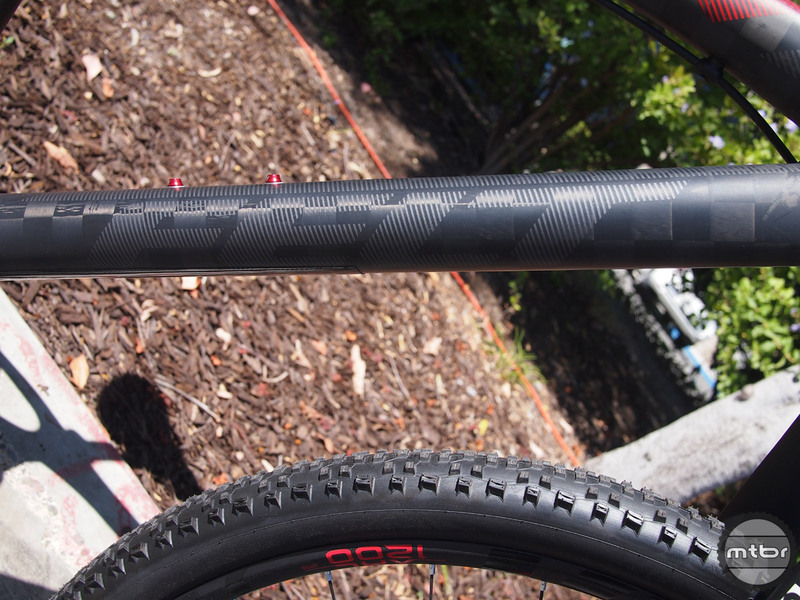 The Felt DD 10 fat bike features a RockShox Bluto fork with 100mm of travel (click to enlarge). 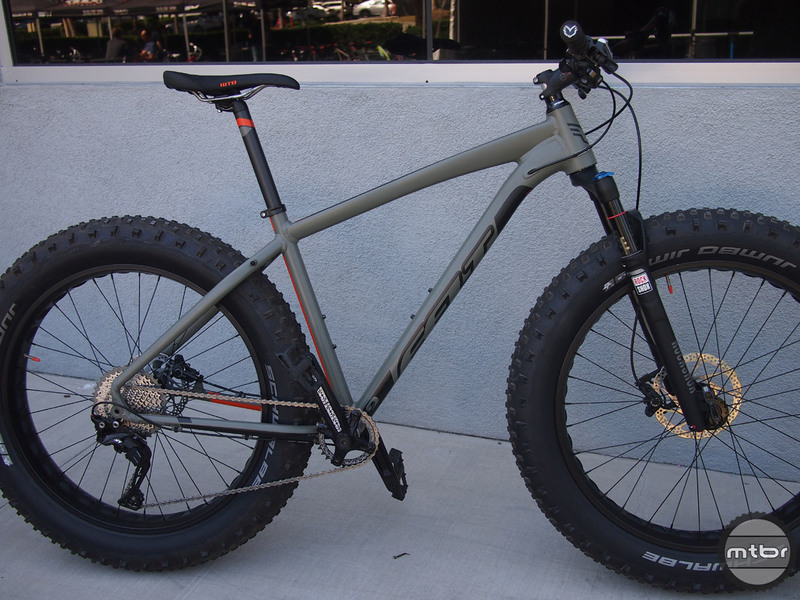 Felt’s line of fat bikes have proven so popular that they have expanded the DD (Double Double) line to 3 models. 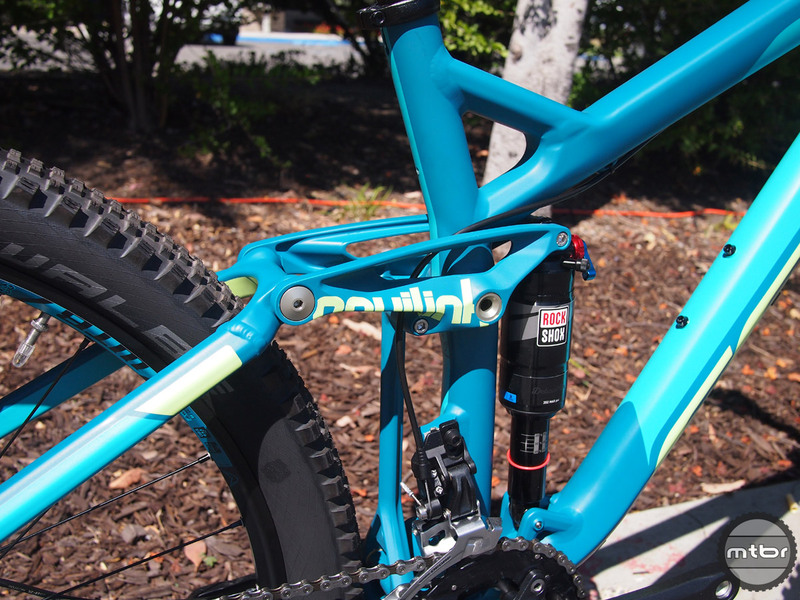 Now available is the DD 10 with a RockShox Bluto fork with 100mm of travel. 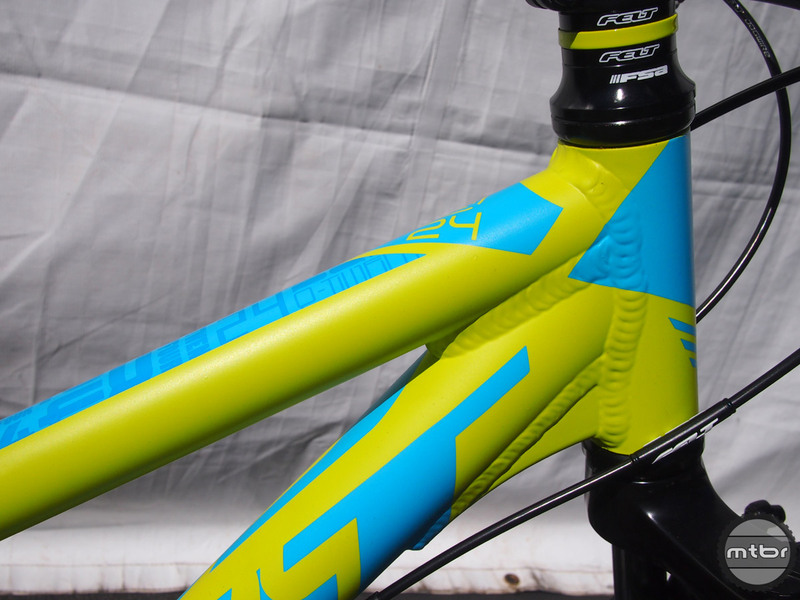 The DD 30 and DD 70 are still available with Felt’s hydroformed aluminum rigid fork. 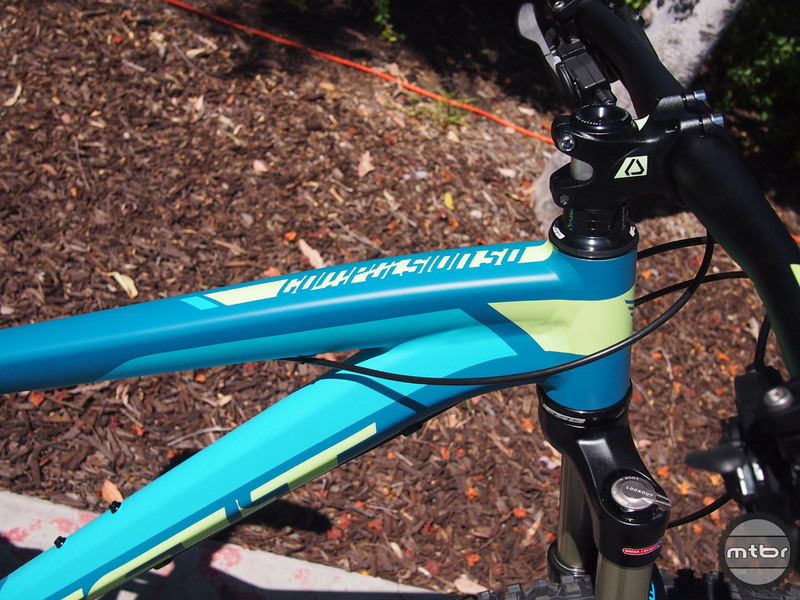 The DD 10 also features a Shimano XT 1×11 drivetrain, Shimano Deore M615 brakes and WTB saddle and Schwalbe Jumbo Jim tires. 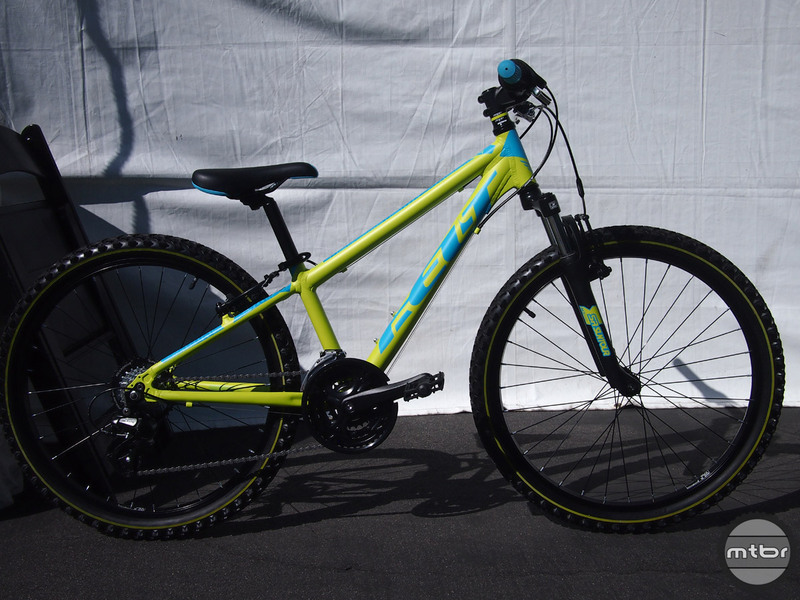 This model is available in 3 sizes (SM – 16″, MD – 18.5″, LG – 21″). 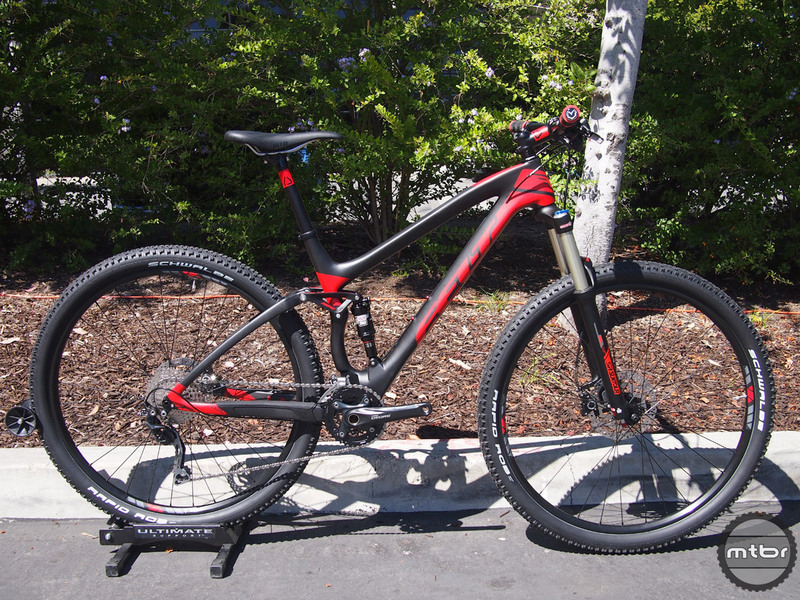 The MSRP is $2999 and will be available in August. 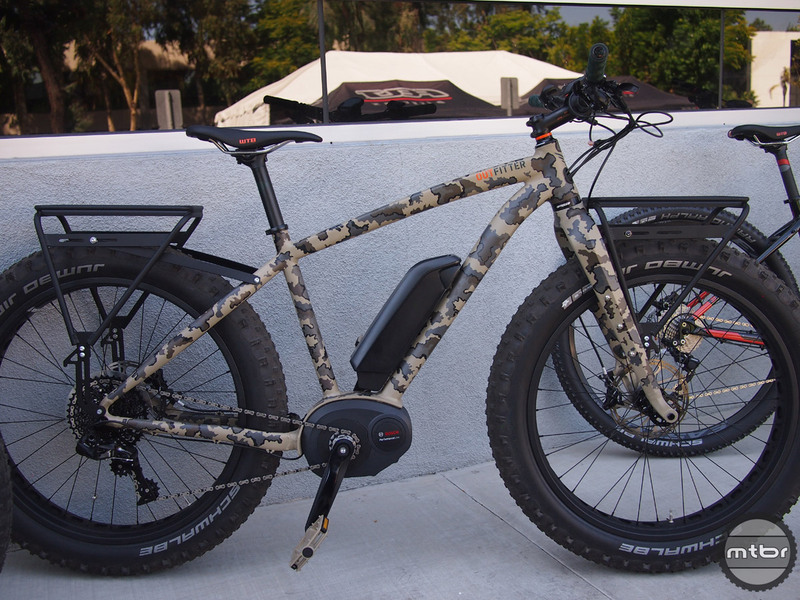 Felt Lebowske electric fat bike and Felt Outfitter fat ebike camo (click to enlarge). 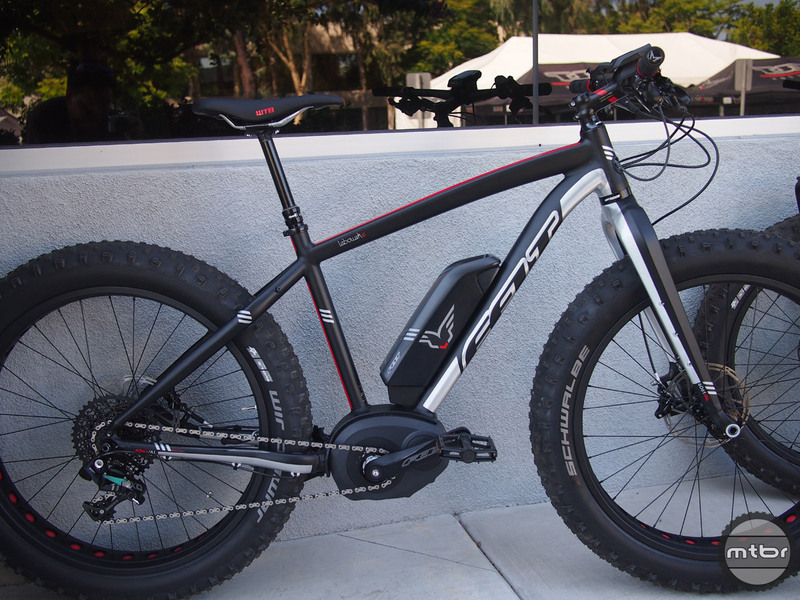 If you prefer a bit of power to help propel your fat bike, check out the Lebowsk-e 10 or for the outdoorsman/hunter/cyclist the Outfitter. 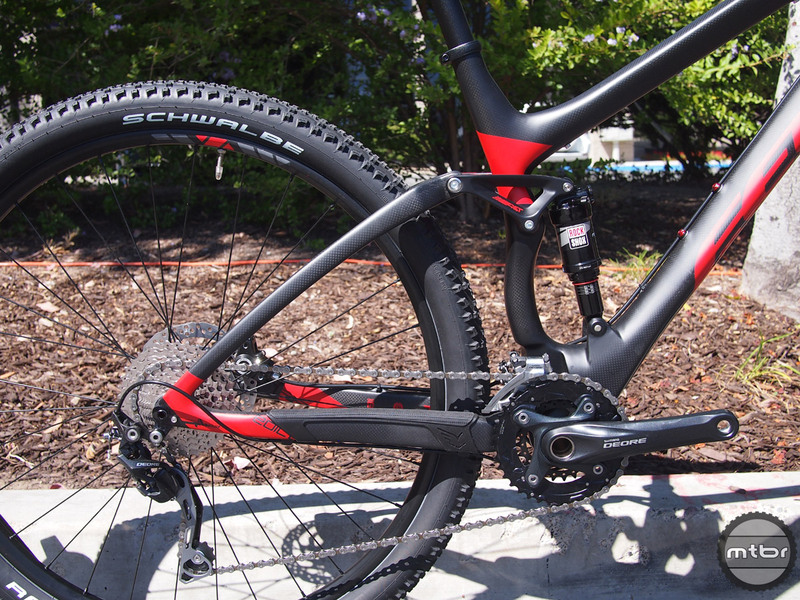 Both of these e-models feature the Bosch eDrive system and are available now. 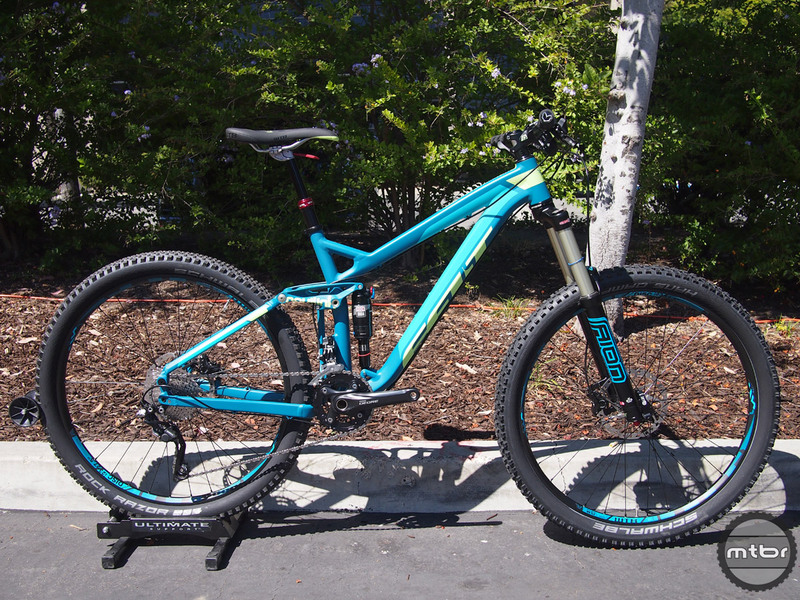 The Q24 rolls on 24″ wheels and features a 3×7 twist shift drivetrain and a Suntour fork with 50mm of travel (click to enlarge). 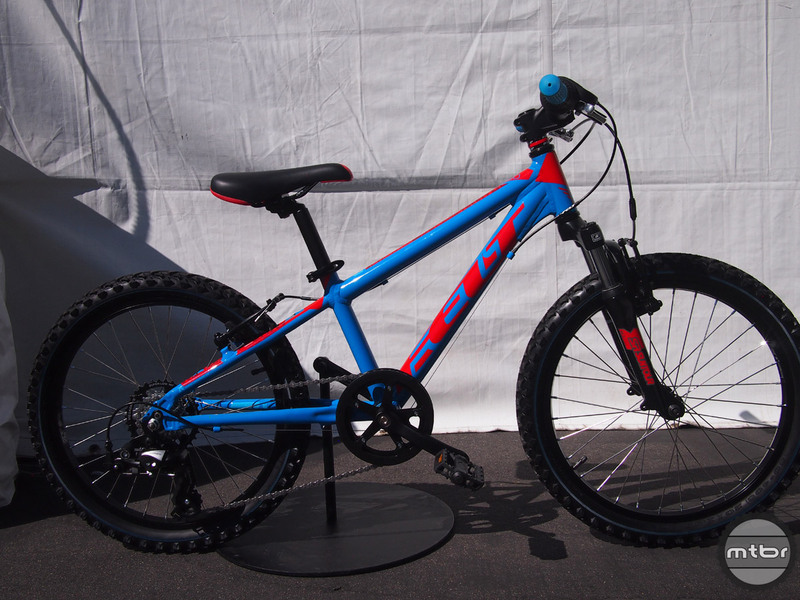 Felt has a long history of supporting cycling for all ages. 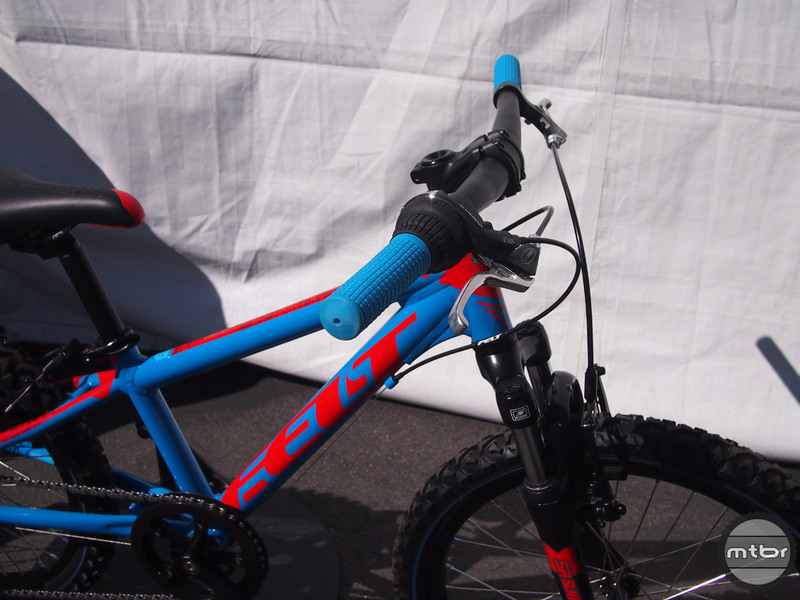 They have built kid sized road bikes and they have mountain bikes to match. 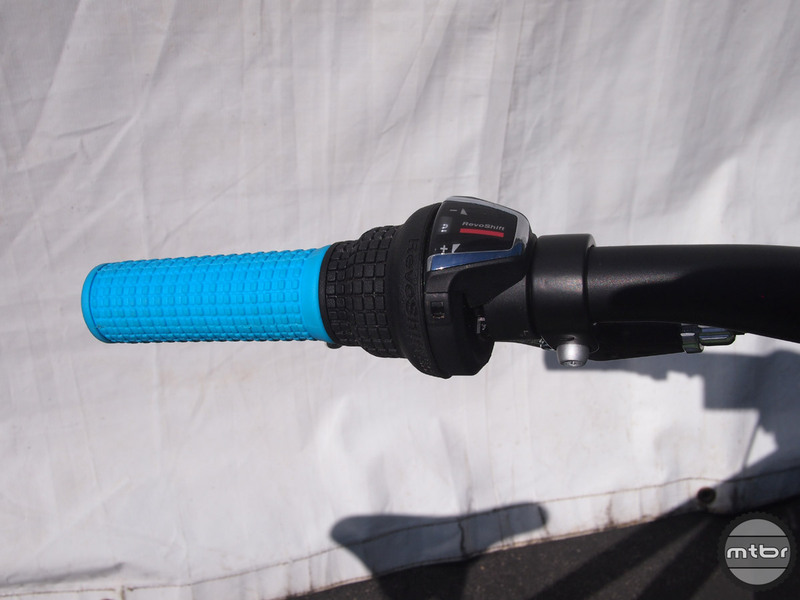 They are designed to be capable off road rigs, with solid parts and an affordable price. 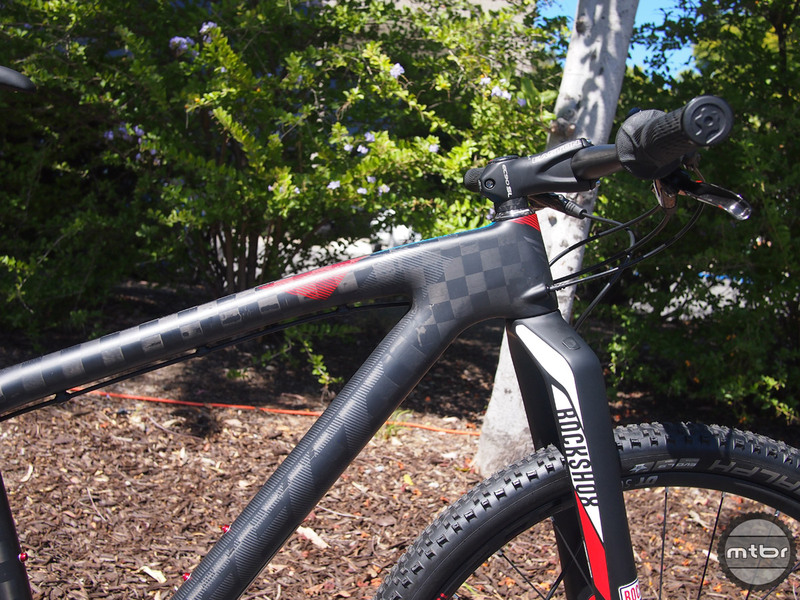 The Q20-S rolls on 20″ wheels and features an aluminum frame. 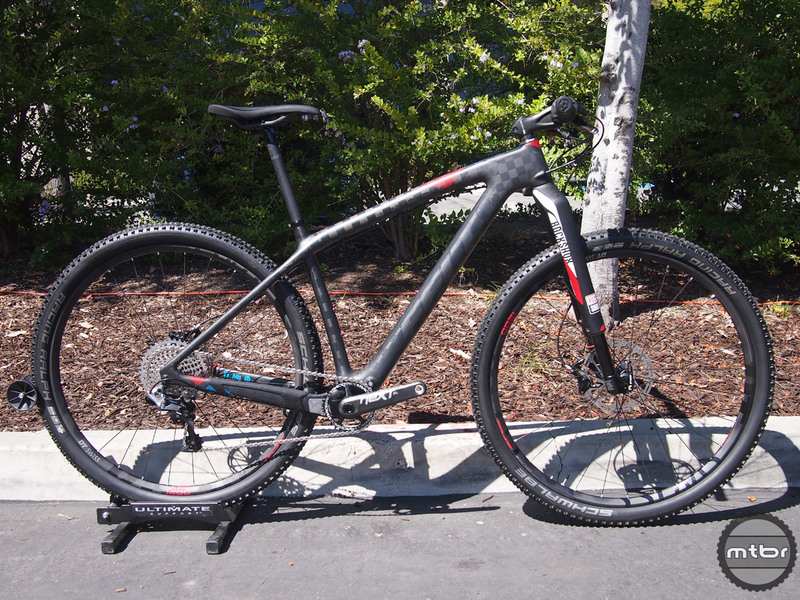 This bike has a Shimano Revo 7-speed twist shifter, Tektro V-brakes and a SR Suntour fork with 40mm of travel. 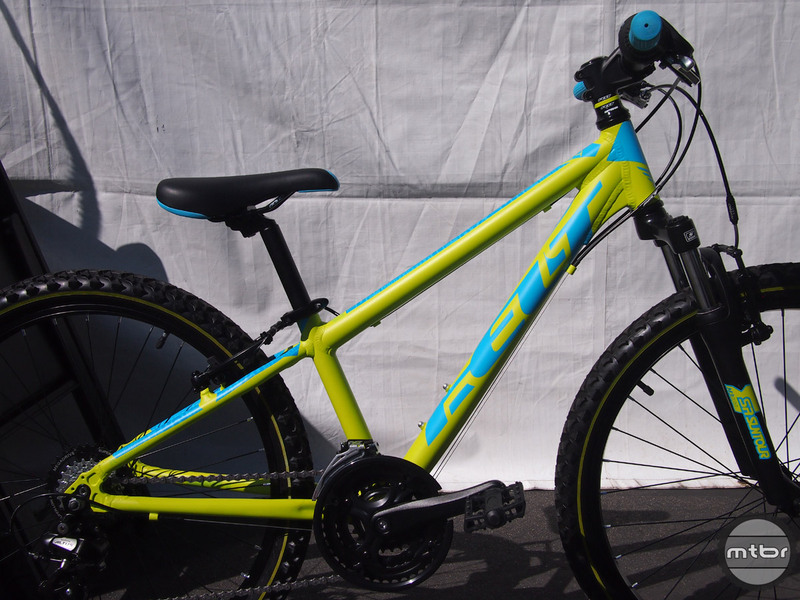 For bigger kids, the Q24 rolls on 24″ wheels and has an aluminum frame. 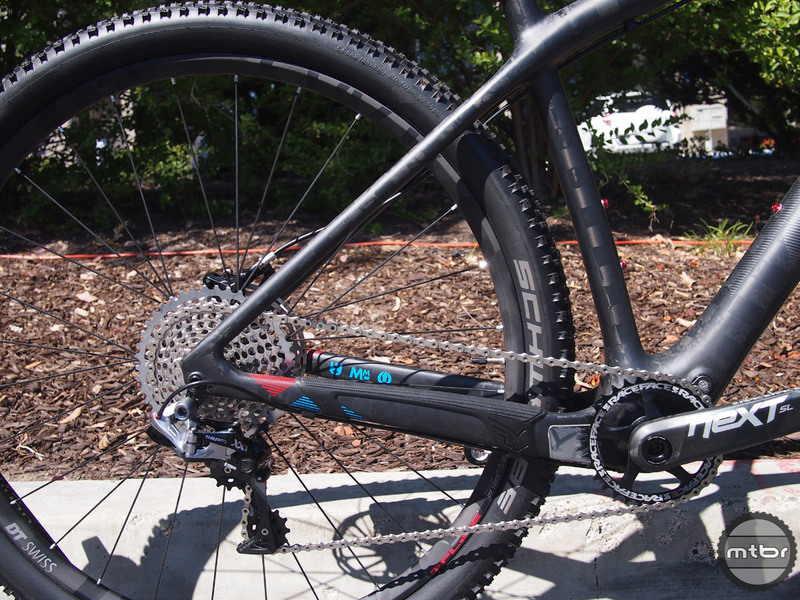 The drivetrain here is a 3×7 twist shift system to give plenty of gear options for tackling more serious hills. 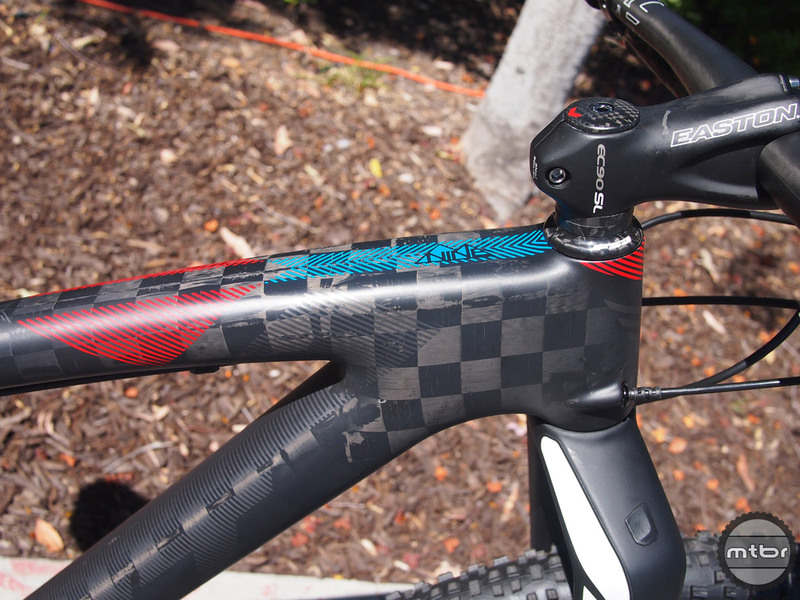 The SR Suntour fork has 50mm of travel. 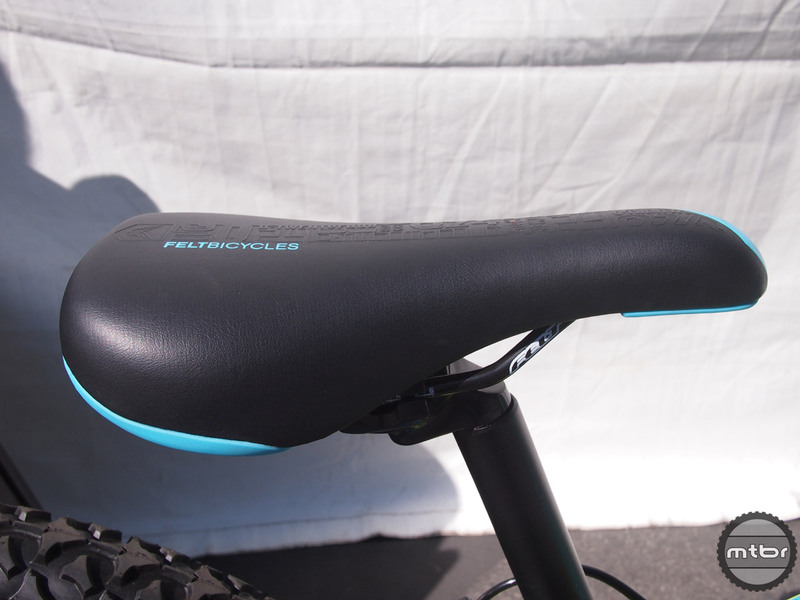 The MSRP for the Q20-S is $369 and the MSRP for the Q24 is $429. Both are available now. Check out more photos in the gallery below. The new logo is on top and the twin “F” wings will stay. The old logo is on the bottom. 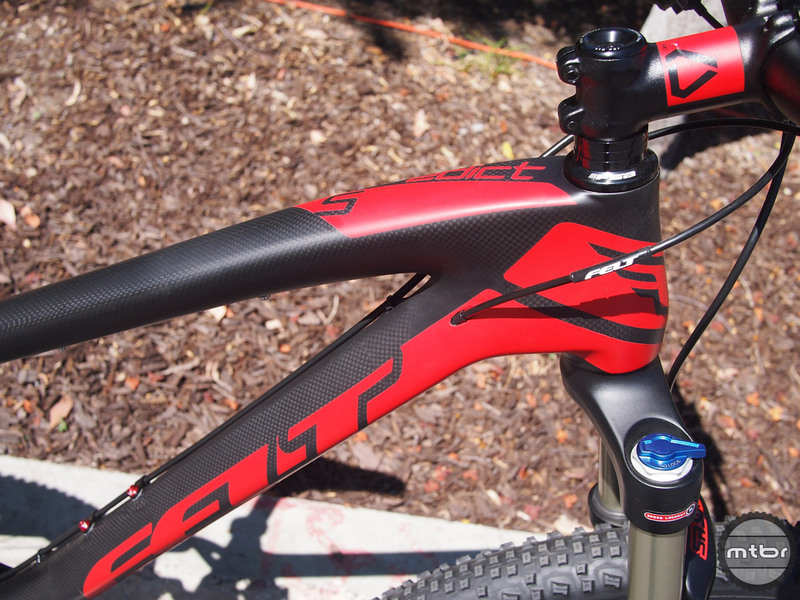 The Felt Nine FRD has been a mainstay of their MTB line and now comes as a complete bike option. 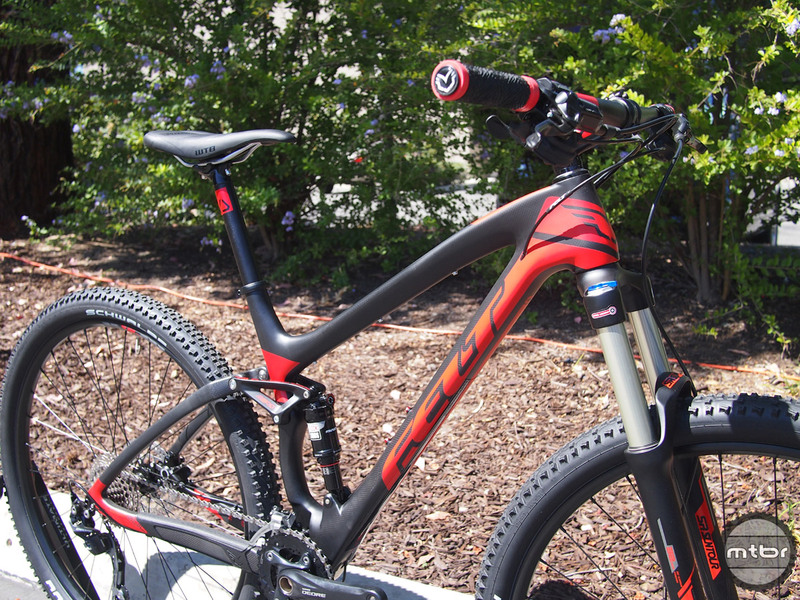 No big changes for Felt’s enduro racer, but spec value has been improved. 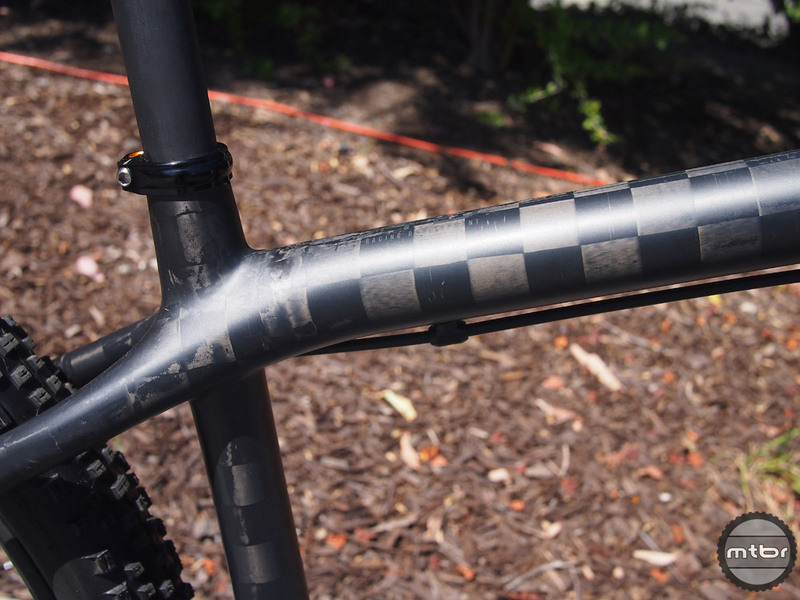 The Edict 5 has 100mm of FAST travel paired with a 120mm SR Suntour fork. MSRP is $2999. 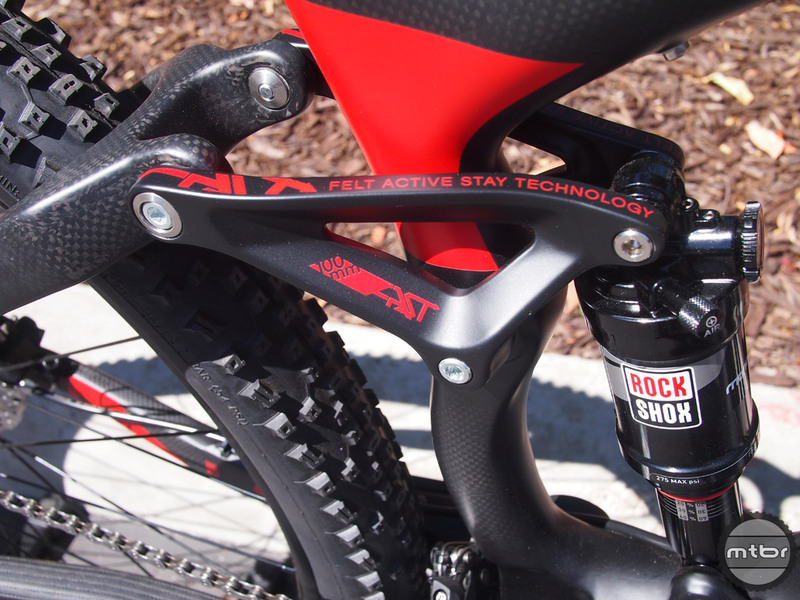 The Felt DD 10 fat bike features a RockShox Bluto fork with 100mm of travel. 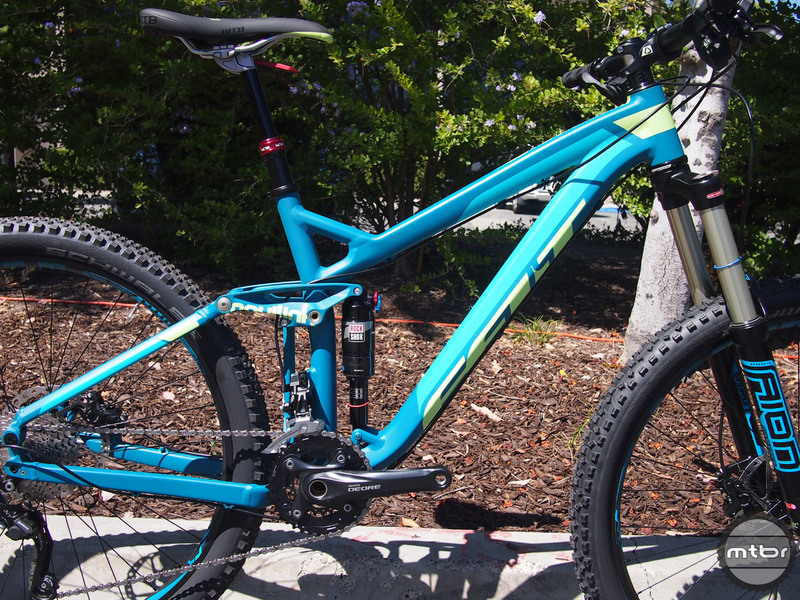 The Q24 rolls on 24″ wheels and features a 3×7 twist shift drivetrain and a Suntour fork with 50mm of travel. 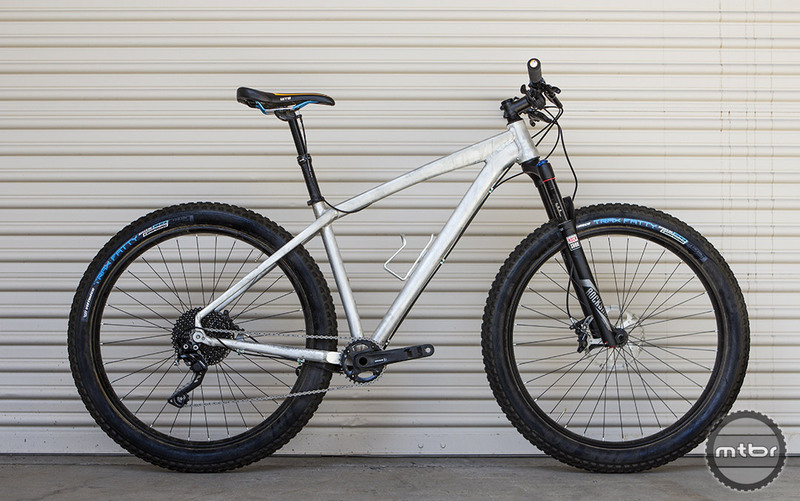 The new Felt Surplus is a 27.5+ alloy hardtail with a 1x drivetrain.